We can safely assume that to crown a successful collection, scenery, music and models’ attitude add value to the clothing significance; all important elements to decode, they help us understand what is the message standing behind each seasonal collection. 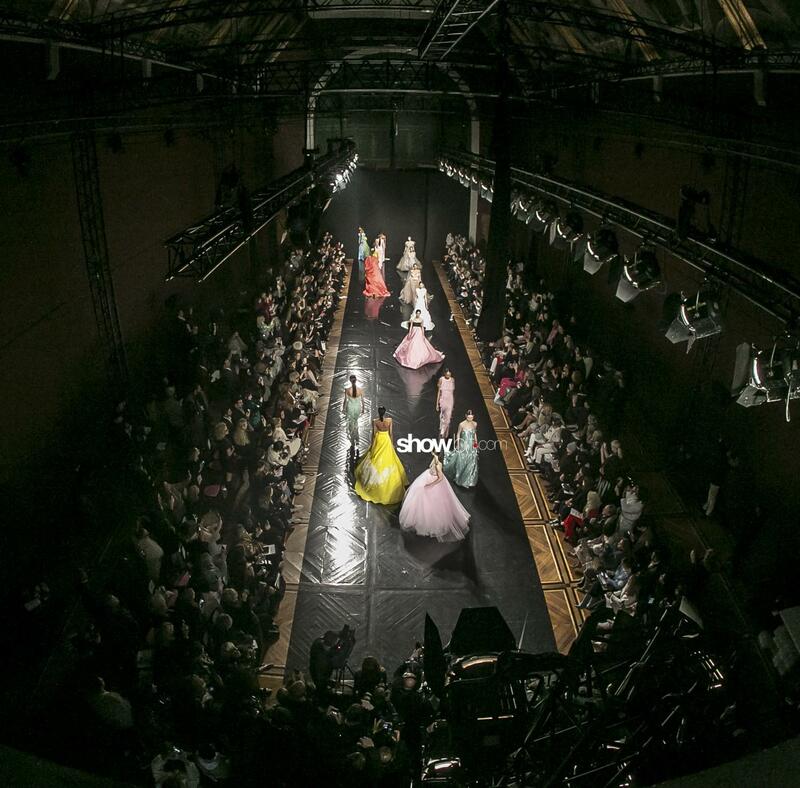 A majestically theatrical craftsmanship characterize On Aura Tout Vu‘s collections; the latest one is extravagant and atypical, as usual for a brand that owns a playful luxury sweeping over scenography and theatrical costumes, alongside a wide range of “augmented products” beyond fashion. 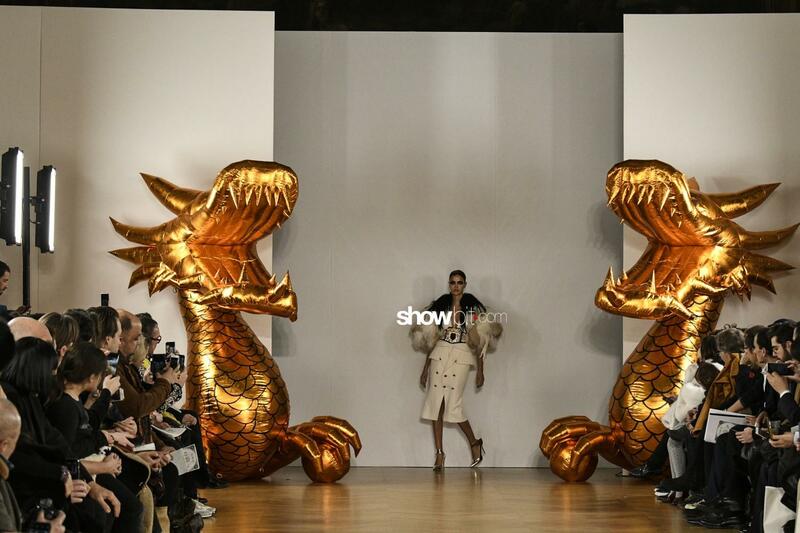 On the Spring 2019 runway, two golden dragons open the space for the catwalk, conferring an exotic “hint of derision”, in favour of “everything resistant to all conformism”. Both inspired by the circus magic, Celia Kritharioti and Christian Dior created though very different scenarios: the former focused more on the clothing, giving it the “circus” factor and making it colourful, sublime and ethereal with theatrical shapes and precious fabrics; the latter invested on the scenario as much as on the clothing collection. 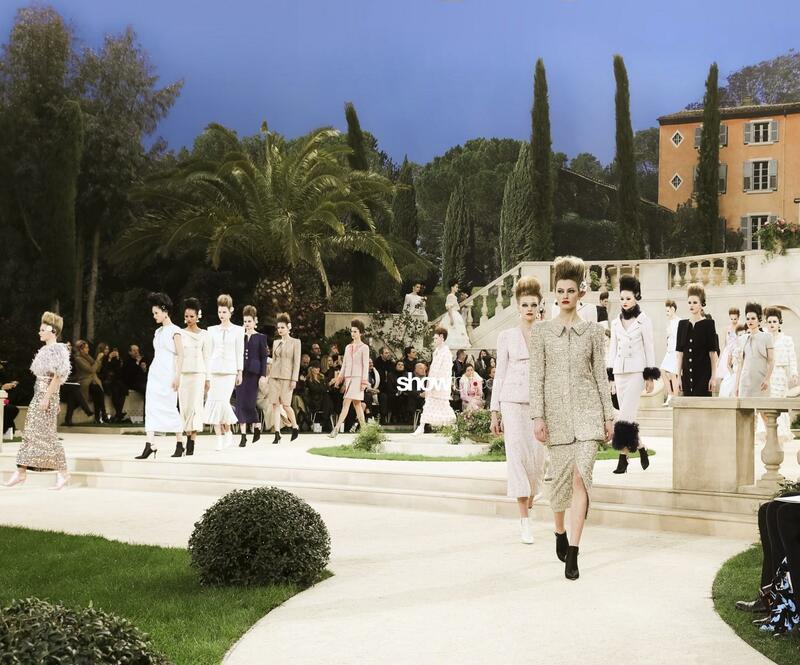 Taking place at Musée Rodin de Paris, Maria Grazia Chiuri’s models and acrobats gave life to a spectacular performance through a dialogue between the two parts in a dreamlike universe. 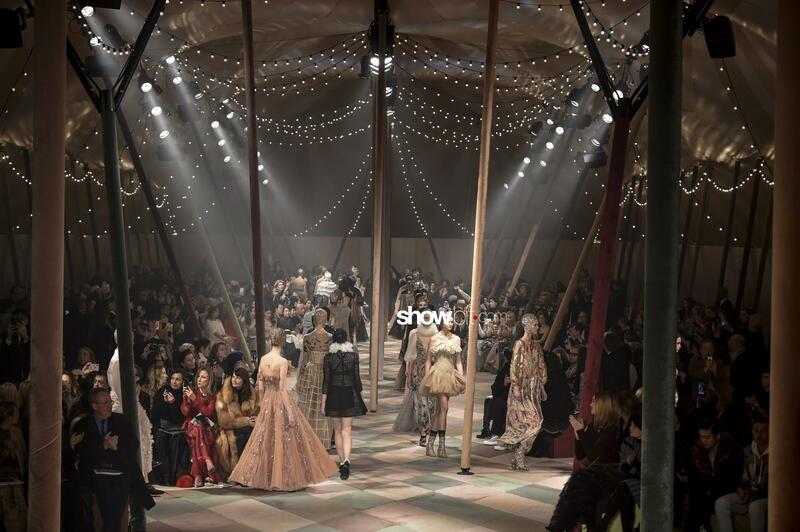 The venue was designated as the big top of Cirque d’Hiver that Monsieur Dior much loved. 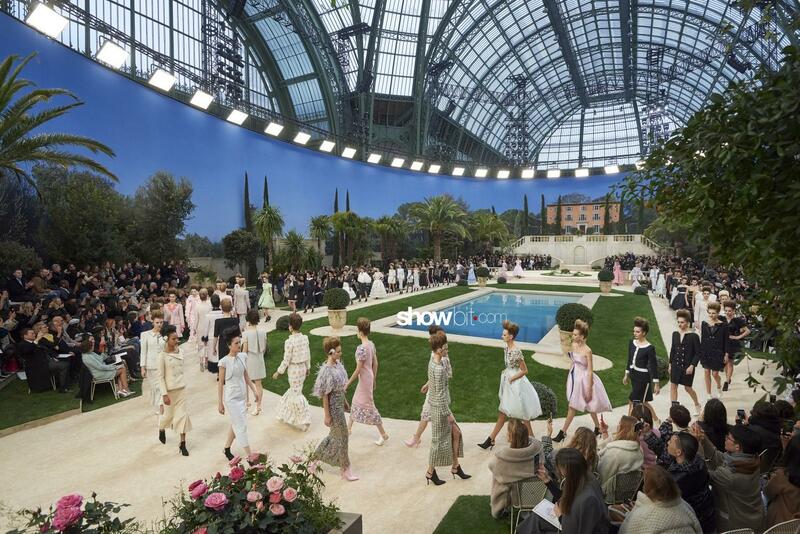 Chanel‘s runway set was in the Grand Palais, momentarily transformed into the mediterranean Villa Chanel inspired by XVIII century splendors and surrounded by palm trees and a luxury swimming pool. A sumptuous venue also for Schiaparelli at the Opéra Garnier, well conformed to the cosmic atmosphere, mixed with a paradisiacal garden, created by the Spring 2019 Couture collection. 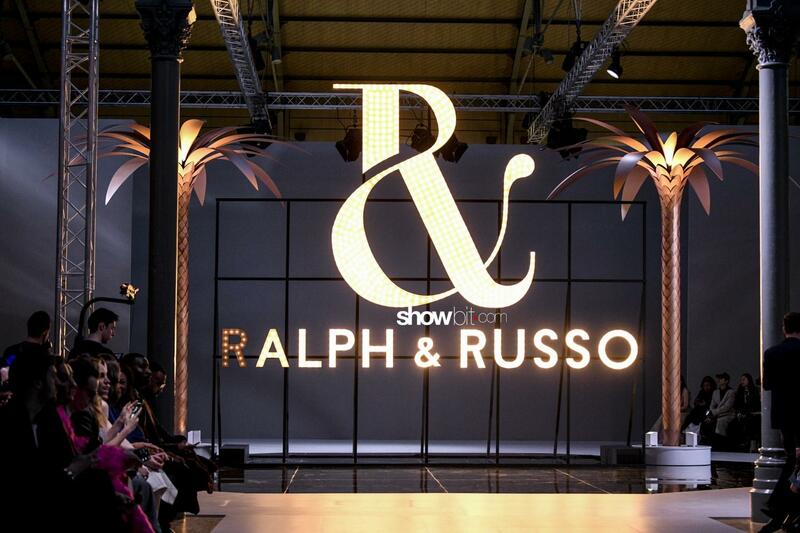 More contemporary is instead the Ralph&Russo runway set, with a huge logo in the back enlightened with neon lights.